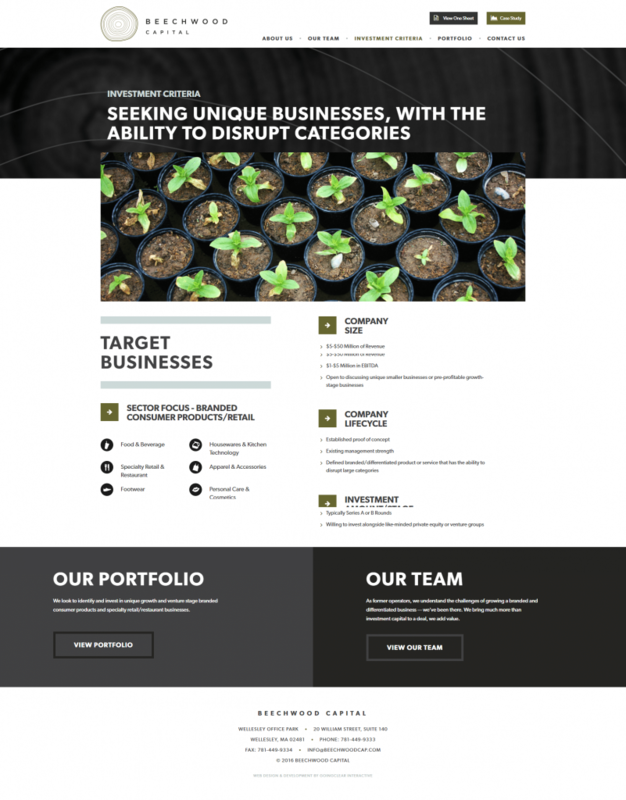 Beechwood Capital is a highly respected investment group with an impressive track record that speaks for itself. 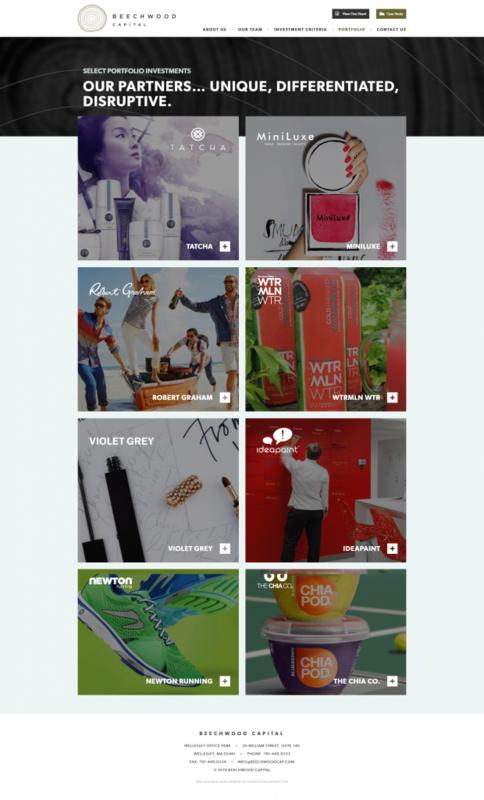 The company is comprised of former entrepreneurs and experienced operators who push brands to new heights in their creativity and marketing. 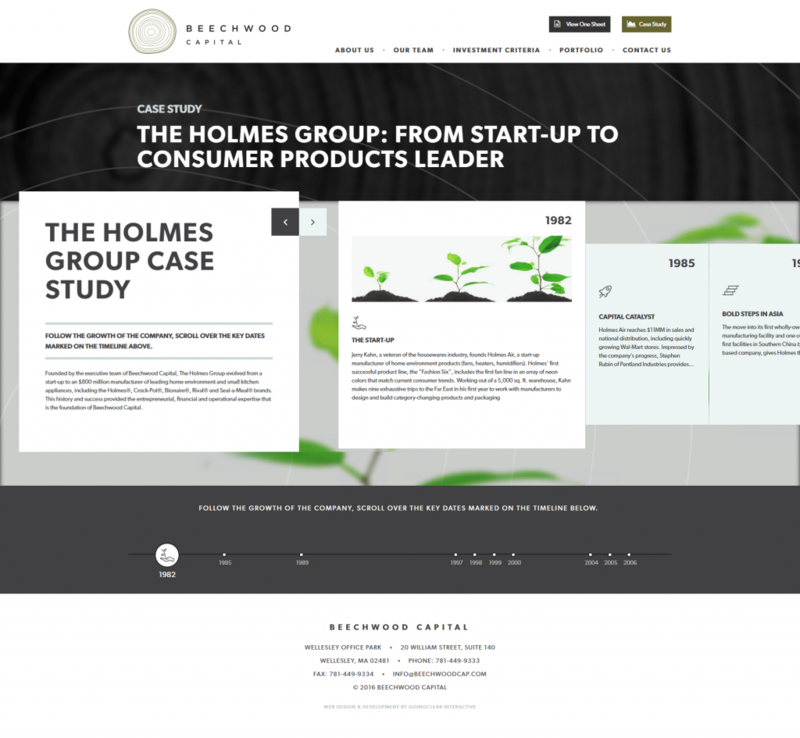 A Boston-based company, Beechwood builds value and competitive advantages for disruptive, differentiated businesses that offer unique growth opportunities. 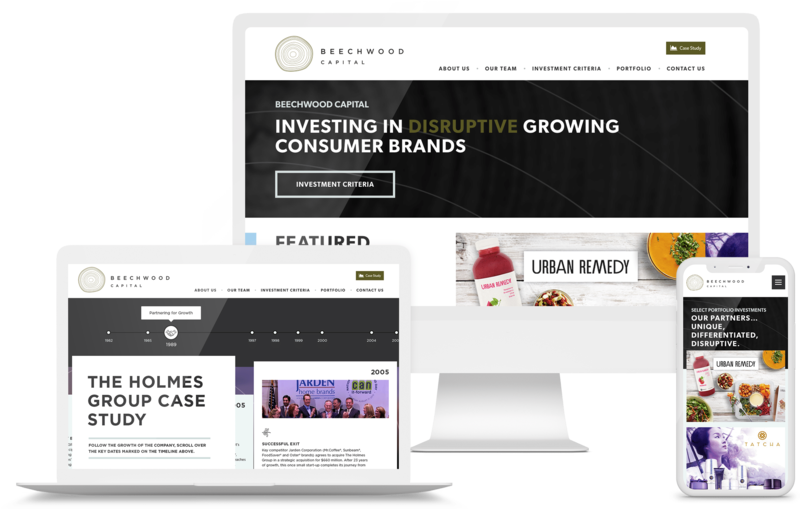 GoingClear Interactive was responsible for the web strategy, UX (user experience), discovery, web design, web development, quality assurance and testing of the new Beechwood Capital website. 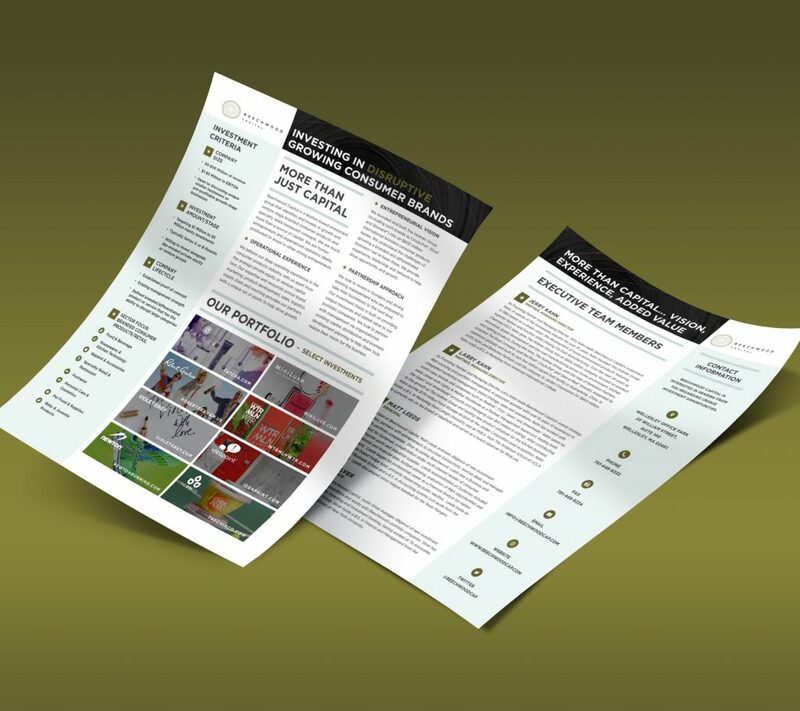 Our major focuses were elegant typography, ease of navigation and thoughtful use of stunning brand photography. 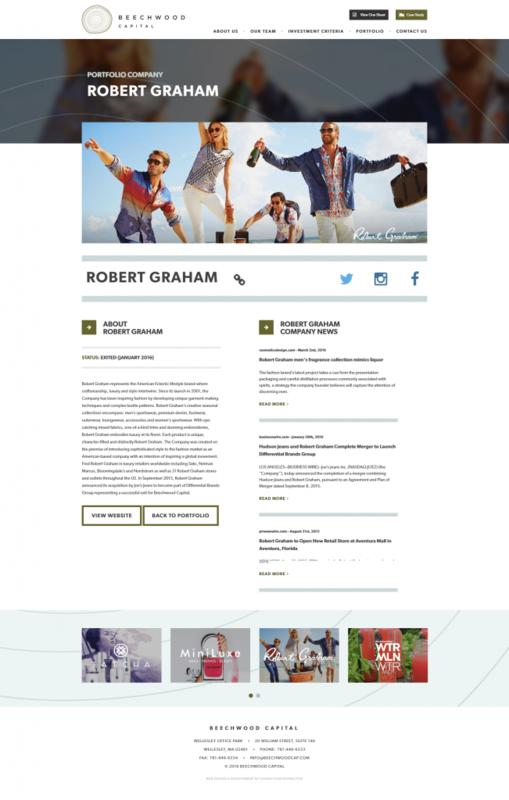 This was used in combination with modern web design elements and a sharp, fresh essence throughout. 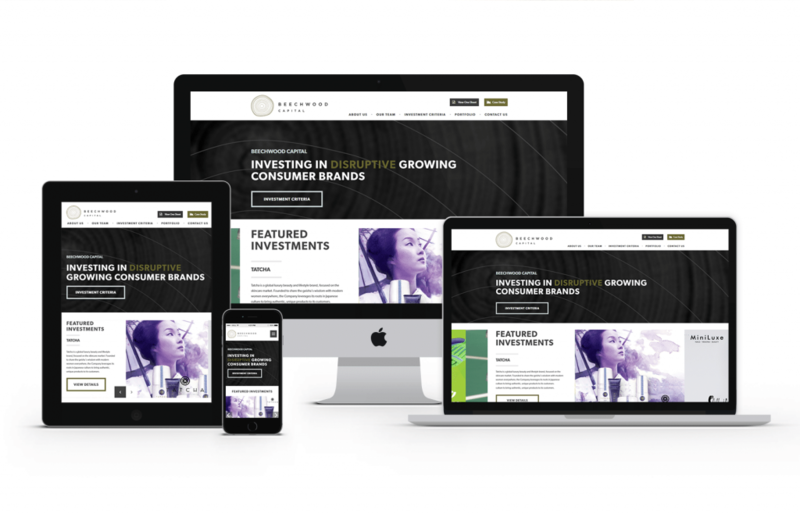 In addition to these great features, we are especially excited about their new Portfolios pages that really show off each client. 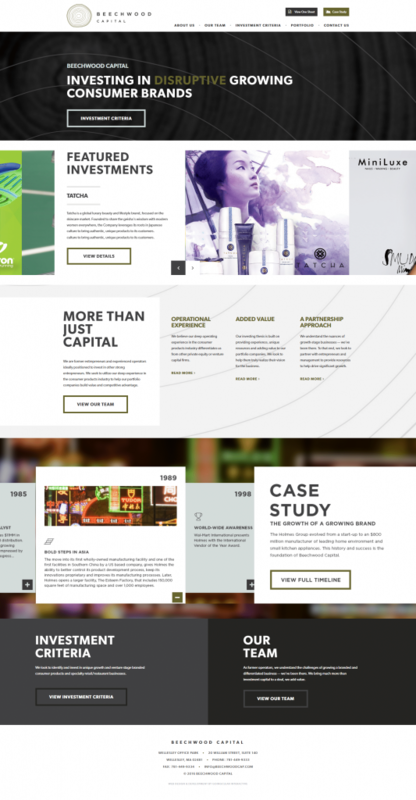 Throughout the site, we've incorporated subtle, professional animations and plenty of back end web administration customization so the client can make updates on their own instantly without having to know code. 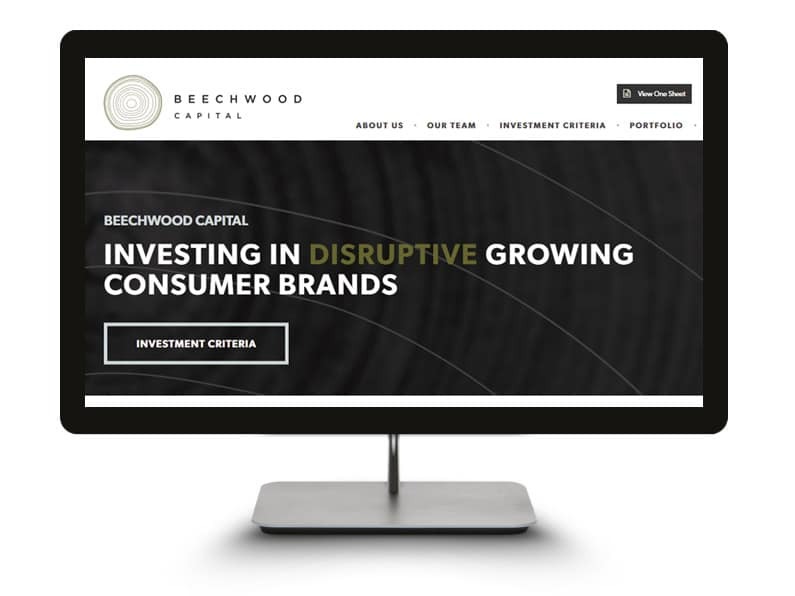 The new Beechwood Capital website was built using WordPress as the CMS (Content Management System) along with a fully mobile and tablet friendly design leveraging Twitter Bootstrap for the responsive framework so visitors are certain to have a flawless experience on any of their devices. 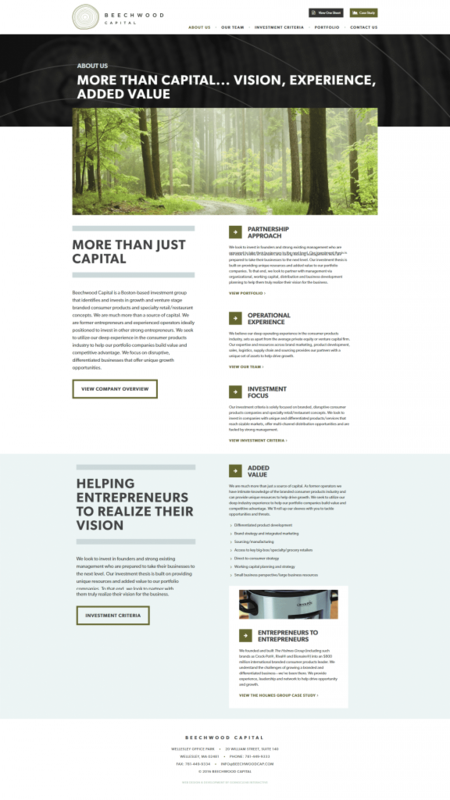 Please visit Beechwood Capital's website or scroll through our photo gallery below.